Then it’s time for some fun. Spin-to-Win in this new 3D adaptation of the popular board game, THE GAME OF LIFE, where fortunes can be won or lost in just a couple of turns. Attend college, apply for a loan and accept a job all in this interactive app. 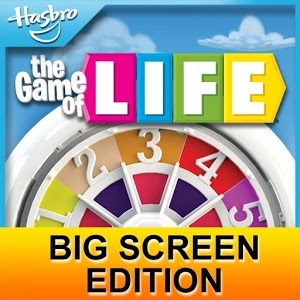 Watch as animated characters make their way through the multiple life stages right on your TV in Hasbro’s THE GAME OF LIFE: Big Screen Edition app. Try it free. Pay once to unlock unlimited play! PLAY ON THE BIG SCREEN • Connect to your TV with a Chromecast device and use your mobile device to control the action! • Chromecast device & internet connection required for Play on TV mode. 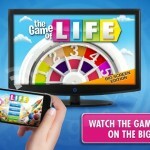 • Each player must have THE GAME OF LIFE: Big Screen Edition app installed on his or her device. 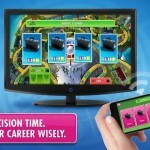 EVERYTHING YOU ALREADY LOVE ABOUT THE GAME OF LIFE COMES TO YOUR TV • A 3D, animated version of THE GAME OF LIFE game board. • Use your finger to flick the digital spinner on your mobile device of choice. • Watch as game pieces bounce around the board to buy a car, get married or have a baby. 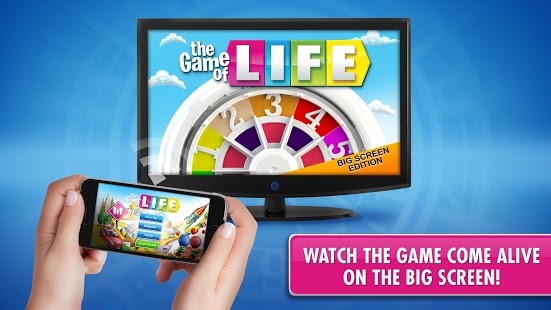 TAKE THE GAME OF LIFE: BIG SCREEN EDITION APP WHEREVER YOU GO • Pass the phone around to take part in offline Pass N’ Play mode. • Experience everything you would on your TV directly on your mobile device. • Flying solo? Challenge the computer on your TV or mobile device. Chromecast is a trademark of Google Inc. 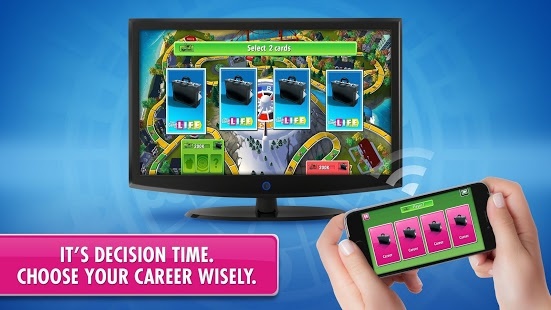 THE GAME OF LIFE is a trademark of Hasbro. ©2015 Hasbro. All Rights Reserved.